The heat pipe is a mainstay in today’s tech-driven world, but it spent most of its existence in relative obscurity. Precursors to the now-vital heat pipe date back to 1942, when inventors Angrier March Perkins and Loftus Perkins patented their design for the Perkins Tube. The Perkins Tube was heat transfer device that acted as a two-phase thermosyphon. The invention was commonly used in ovens and locomotive boilers, but was not developed further until the 1960s. George Grover created the first working model of a capillary-based heat pipe in 1963 while working on nuclear reactors at Los Alamos National Laboratory. He shared his discovery with the Air Force Flight Dynamics Laboratory for use in jet engines. Grover also recommended the use of heat pipes in electricity-generating nuclear reactors in space due to their light weight, low maintenance requirements, and high heat flux. NASA took his advice and continued to develop aluminum heat pipe design and technology. Heat pipes proved incredibly useful to space exploration. Even without moving parts, a heat pipe offers more efficient heat transfer than silver, the most thermally conductive metal available. NASA soon began using heat pipes for satellite transponders, and many of today’s satellites and spacecrafts would not be possible without heat pipes. Despite their critical role in the military and space exploration, heat pipes didn’t hit commercial markets until the 1970s. Grover left Los Alamos in 1971 to help found the Q-Dot Corporation to sell heat pipes to a broad commercial market. Sony first adopted heat pipes into their electronics in the 1980s, and when personal computers gained popularity in the 1990s, heat pipes became even more important to the average consumer. Do You Need Heat Pipe Heatsink Aluminum Services? 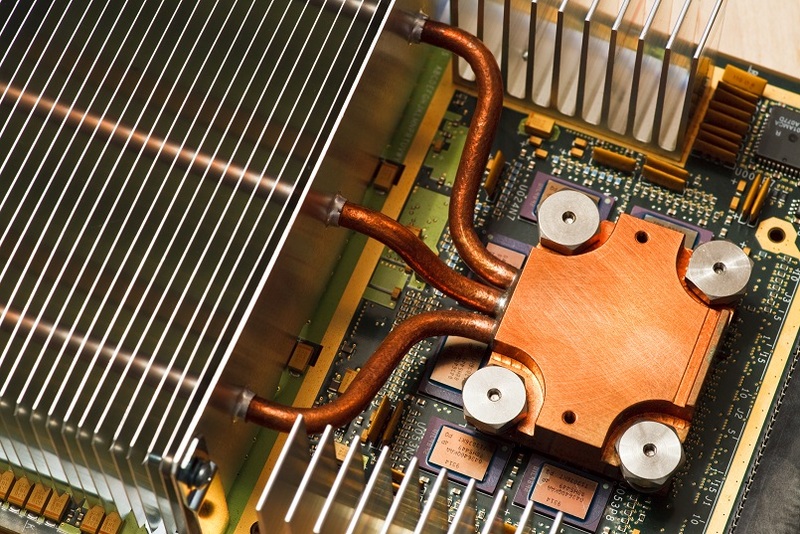 Today, heat pipes are used for computers, phones, air conditioning, and countless other products. Getec Industrial offers turnkey manufacturing for heatsink services, heat pipe heatsink aluminum services, and other electronic cooling solutions. For more information about heat dissipation in electronic devices, contact us online or call us at 888-000-8499.